How To Maintain Your Concrete Garage? One of the biggest and most appealing advantages to having a concrete garage in your home is how easy they are to maintain. If you opt for a professionally installed, high quality design and specification, your concrete garage will be extremely durable and long-lasting, withstanding even the worst of what the great British weather has to throw at it! However no matter how much your garage is built to last, over time the look of your garage can begin to appear worn. With concrete becoming weather beaten, worn and grubby. 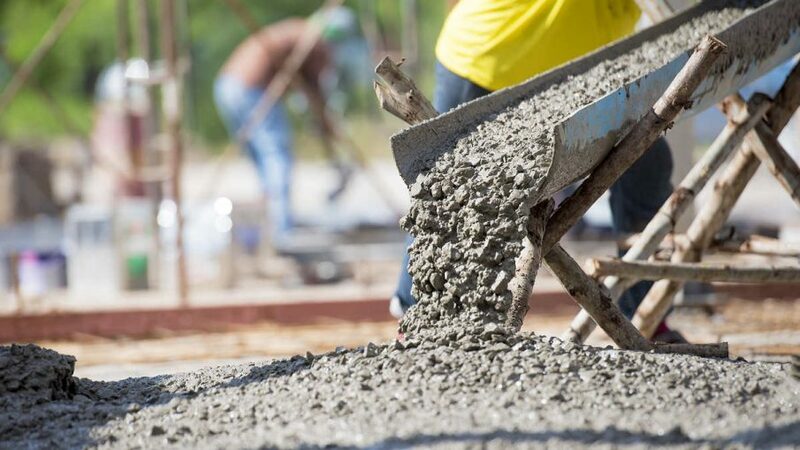 There a number of things you can do to ensure your concrete is clean and well maintained. By taking a few simple preventative measures, you can ensure the lifespan of your garage is lengthened. A concrete sealer is a great way to ensure your concrete is more resistant to all weather exposure. Furthermore a properly installed sealer can revive the concrete’s natural beauty and make it far easier to clean. Just make sure that when you are applying concrete sealer, you follow the specific instructions recommended by the product manufacturer. A few times a year, set aside some time to thoroughly check your garage walls, both interior and exterior for any damage or cracks. If, over time, small hairline cracks begin to appear in your concrete garage you may need to repair them. Cracks smaller than ¼ of an inch that are not causing water damage are typically harmless. Repairing them quickly and efficiently will stop them from becoming a bigger problem later on. If you are finding larger cracks more frequently, you may need to consult a professional. By keeping your garage clean, you can keep it looking brand new for longer. Regularly hose down your concrete garage floor and walls to prevent slip hazards and stains caused by auto fluids, paint and the array of miscellaneous chemical ingredients likely to be found in a garage. To remove tough stains on your concrete garage caused by weather, stubborn dirt or grease you may need more than water. Cleaning chemicals followed by power washing and scrubbing may be needed to remove the worst of the dirt. Your garage door is a key contributor to your garage’s appearance, giving it a coat of paint every year will keep it looking new and fresh. To ensure the continued smooth running of your automatic garage door ensure all moving parts undergo periodic lubrication. This only takes a few minutes a year and is very simple to complete. Use a spray lubricant, available from any local hardware store, and use this to coat hinges, rollers and the door’s locking mechanism. To ensure the safety of your door, regularly check it for signs of wear and tear. Check springs, cables and rollers for any small signs of damage. By catching small warning signs early you may be saving yourself from a bigger problem down the line. So there you have it. A few simple preventative measure that when undertaken, extend the lifespan of your concrete garage and ensure in remains in good working order.